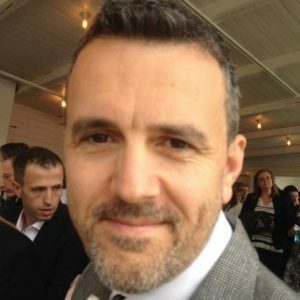 In this interview, Jon Cox, director for the UK, Europe, Middle East at CCL, talks about his biggest challenges in the recruitment space and how Textkernel’s semantic search and matching tools, integrated with Bullhorn, helps him save time on resourcing and cut costs by easily training new recruiters on the job. What are the biggest challenges for CCL? CCL is a pure play oil & gas recruitment business that has been around for 35 years. Accurate matching is critical for a specialist company like ourselves. Our clients want to avoid hiring generalist workers and spending time and money on training them. Therefore they reach out to agencies to help them find the best matching candidates with the right set of skills. For us the biggest challenge is speed, making sure you find the right candidates faster than the competition and win the so-called ‘CV race’. Bullhorn is like a BMW. Combining it with Textkernel makes it a Rolls-Royce. In order to speed up our time to source, we added Textkernel’s semantic search and matching technology to Bullhorn. The technology can automatically turn job requisitions into search queries, semantically search the database and include synonyms and find the best matching candidates. Bullhorn is the best of breed solution in everything. It’s a good value product. If you want to go above best of breed, to go for the ‘haute couture’, you need to get a specialist like Textkernel. To use a car analogy: Bullhorn is like a BMW. Combining it with Textkernel makes it a Rolls-Royce. The problems were twofold. Historically, with a very large CV database, it took senior recruiters a full day to create a longlist of 20 candidates via Bullhorn’s Find Matching Candidates. This took time out of business development. Secondly, it is very difficult to hire recruiters who understand complex technical job descriptions. Textkernel’s automatic ranking technology means seniors just have to review the top 20–50 hits (including seniors who are not so good at Boolean). Plus rookies can work through the same list, and build up knowledge on the job. The integration of Textkernel’s semantic search and matching software with Bullhorn is amazing. It is seamless and creates real-time matches with extremely exciting accuracy. Textkernel’s semantic matching technology reduced our time to resource vacancies by about 50%. When I work a job, I’m even doing it in 20 minutes right now. Textkernel’s technology also enables less experienced recruiters to work vacancies beyond their knowledge and comfort zones, beyond Boolean, as it builds the searches automatically, and ranks the most suitable candidates. Instead of having them take an expensive 3-day training course, they are getting straight into their desks and work vacancies. Textkernel’s matching technology provides them with the top 10 best matching candidates, which they can trust and call, and enables them to learn on the job. Right now, I wouldn’t work for an agency that didn’t have Textkernel in Bullhorn. What takeaways can you give to other companies? While the concept of AI and semantic technology sounds amazing, and it can be, you have to make it work for you. There is no such thing as an off-the-shelf AI matching technology which works for any company. Textkernel’s Match! functionality is very advanced and allows us to personalise the semantic search results. We developed our own matching dictionary specific to our Oil & Gas clients. We’ve used semantic matching tools before, but the main advantage is Textkernel’s white-box approach. The dictionary, and the reason for matches, is visible and directly integrated with Bullhorn. Right now, I wouldn’t work for an agency that didn’t have Textkernel in Bullhorn. Download the full PDF customer case. Read more about the Textkernel-Bullhorn integration or contact Textkernel directly.